Ships today if you order in the next 8 hours 40 minutes. 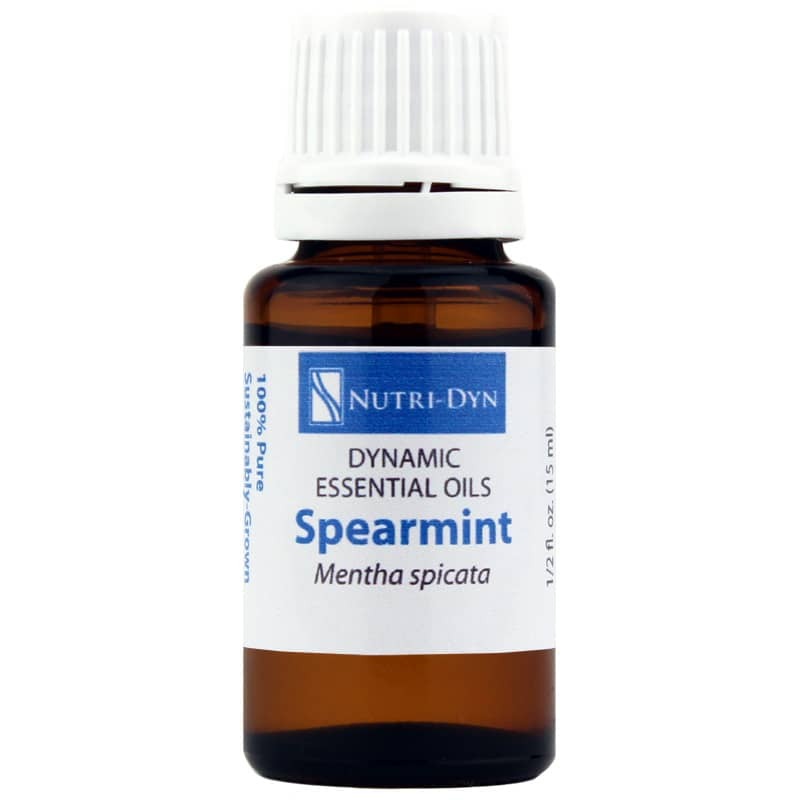 Breathe in an intensely invigorating, minty scent with stimulating, health-supporting Spearmint Dynamic Essential Oil from Nutri-Dyn. Spearmint Dynamic Essential Oil is a 100-percent pure, sustainably grown essential oil with freshening, restorative and protective properties for an array of health-supporting uses. Used since the time of the ancient Romans and Greeks to freshen breath and add fragrance to baths, Spearmint essential oil has a wide range of uses. It's naturally carminative, clarifying, restorative and stimulating, and may even be used as a chemical-free insect repellent. The essential oil is made by steam distilling the flowering tops at their peak of potency to capture as many beneficial properties as possible. Not to be confused with its relative peppermint, spearmint contains little to no menthol, but has carvone (over 70 percent), limonene and dihydrocarvone. Whether you need to freshen a room, clarify your body, or stimulate your spirit, spearmint will do the trick. Order Spearmint Dynamic Essential Oil today.